Top pros will advise you to "keep it simple." 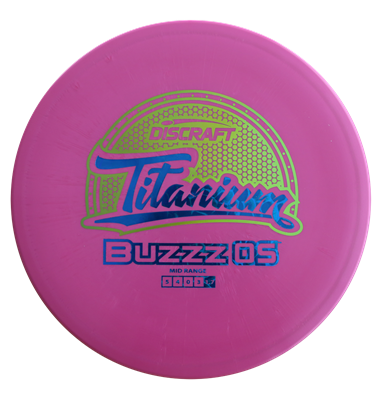 You know & trust your Buzzz, but when the wind kicks up or you want to rip out a forehand shot, reach for a Buzzz OS. You'll still get Buzzz performance and consistency, but the 1.7 stability rating will help you tackle a wider range of challenges. I picked up a buzz os this spring and it has been my go to mid ever since. It can handle my powerful flick shots and finishes gently without skip. I can also get this disc to hold an anhyzer if I need it, it can even flex. I have shaved serious strokes off my game by adding this disc to my bag! This is the perfect disc for tees under 300. Smooth and has a soft S Curve at the end.